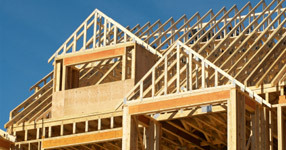 Want to see the quality of our work? 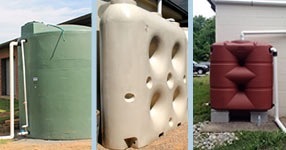 For examples of our stormwater management, rain harvesting, retrofit, and new construction, click here. With 45 years of waterproofing experience, we know how to put water where you want it. Whether you're waterproofing your new or current home, collecting rainwater for reuse, or managing onsite stormwater runoff, we’ll do the job right, quickly, and within your budget. View our comprehensive services. 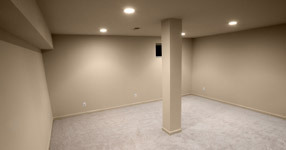 Whether you want a children’s playroom, a home recording studio, or a workshop, a waterproofed basement becomes a blank canvas onto which you project the future of your new home. National/American Waterproofing pairs state-of-the-art technology with advanced water remediation techniques to develop a plan of defense custom-tailored to the needs of your property. Water is a precious resource the world over. Water is unfortunately taken for granted even as water restrictions and drought conditions become more prevalent. We will use our knowledge and experience to assess your property’s rainwater harvesting potential. Comprehensive Water Management can save you both time and money. To learn more about our services or for a free consultation, click here. 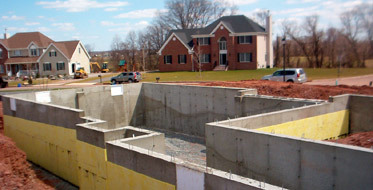 Since 1995, Country Classics has entrusted National/American Waterproofing with more than 500 of the 800 new-construction basements in the 22 year-old, single-family community.